Now a days it difficult to enjoy the benefits of the Internet as it was designed to be experienced. Unfortunately, the present Internet is a world that is full of cyber criminals, Scams,malware infected websites, fake security software’s, and more threats. To battle against these Spy-wares, viruses and safeguard your PC you need a best security suite. If you talk about top rated security solutions providers, Bitdefender will be certainly one among them. Recently BitDefender Internet Security 2011 received the best security product awards from the Consumer Report Magazine in US, UK and Germany.So lets take a took what makes BitDefender Internet Security 2011 the best security product. 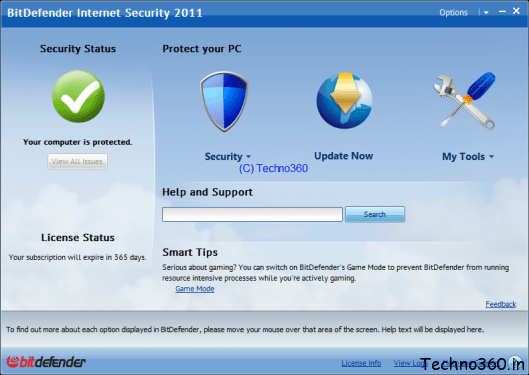 The installation of BitDefender Internet Security 2011 is very simple, quick and it will not take long time unless if you have already Installed another security suite. 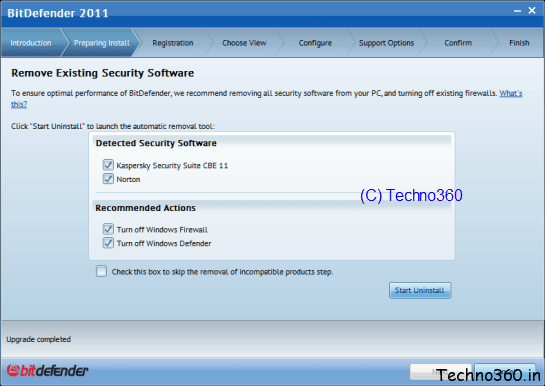 Before installing the suite it will perform a quick scan o critical areas to detect threats on your PC, once the scanning is finished you will need to input your License key and register an account. Next you need to choose the apt interface among three distinct user interface : basic view, intermediate view, and expert view . If you are a Novice user or beginner you can choose the Basic interface and Bitdefender will assist you with step- by- step wizard to fix issues. 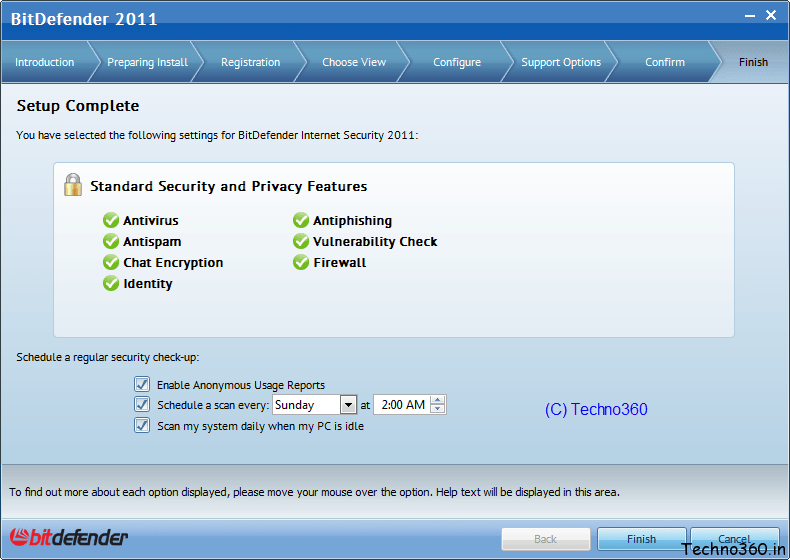 The user interface of BitDefender Internet Security 2011 program is very simple and easy to navigate for even Novice uses or beginners. On the main window of the application, you can see the security status of your PC.The left hand side of the window, will tell you the issues that need to be fixed PC and underneath to the security information you can view your current license status. There are three large buttons on the right hand side of the main window :Security, Update Now and My tools.The Security button will lead to your security centre, where you can scan your PC and fix any issues. With the ‘Update Now’ button, you can check for the latest updates for your virus database and update it if necessary and the ‘My Tools’ , is a collection of various other tools included with the program. BitDefender intalls an anti-phising add-on for Firefox and IE browsers that blocks known phishing websites and also provides a search advisory that allows users to avoid shady websites. 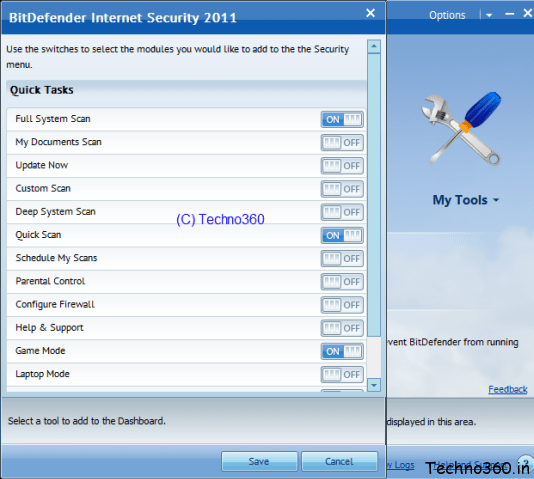 Coming to Scanning your system with BitDefender Internet Security 2011, you find several options like quickscan, autologon scan, full system scan, Deep system scan and a custom scan. Except Parental controls and Host-based Intrusion Prevention System , all other above modules are enabled by default . Also another Feature “Gaming Mode” will attract gamers, when Gaming Mode is enabled it minimize interruptions, and use low CPU resources to ensure seamless and secure gameplay. BitDefender Internet Security 2011 overall detection and malware removal rates place it among top rated security applications. It works unobtrusively and silently without bothering the average users. If you’re looking for an affordable and easy to use internet Security Solution that should be tough on viruses and spyware but light on the processor, then BitDefender Internet Security 2011 will be the right choice you can buy it at Bitdefender website for RS 650. Thanks for the review. But in contrast to your review, BIS slowed down my system at times. I found the reason was the automatic updater, which I have disabled to make it work well. Did you face anything like this?